You will find millions and millions of people hitting the google search buttons to find out information on any given topic. The world has created a place of its own on the digital platform where they are comfortable to visit as and when the need arises. This has encouraged digitalization in every sector of the society with online platform swelling up with digital contents. Learning that is accentuated through the use of modern technology can be best described as digital learning. It makes extensive use of all the modern technologies to make learning quite enticing in nature. You could get the employees trained at their own time and pace. 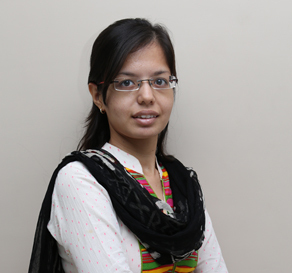 Moreover, one need not spend money on hiring trainers or on arranging a space for conducting the training process. All these and much more to the advantage of digital learning. Change is something that often creates resistance in the minds of people. When a big organization looks forward to bring in some change it all starts with ways to avoid or keep it to a later stage. 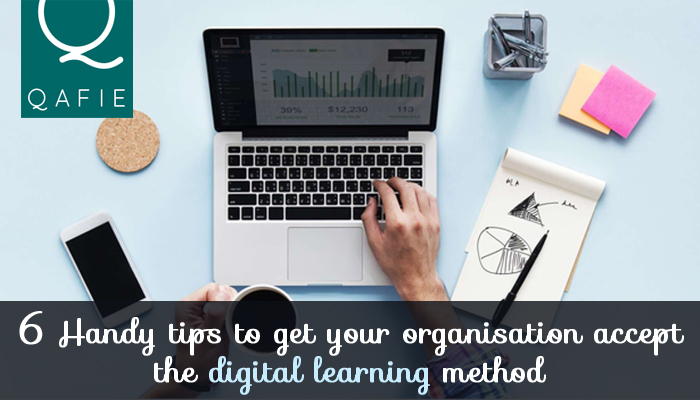 Do you find yourself in a dilemma where you are finding it difficult to convince your organisation in accepting the digital learning method? Let me introduce you to some of the mind-blowing ways in which you could get your employees accept the digital learning methodology. 1. Discuss the benefits of digital learning and how it is going to bring in some positive change in the organization as a whole. Start implementing digital learning at a higher level. 2. Make use of facts and figures to sound even more convincing. When you present your argument with relevant facts and figures you have successfully won half of the battle. Now the next second half needs some extra efforts to convince them to adapt the new and innovative technology. 3. One need not carry a pen and a paper to note down anything important. We have the digital world where it promises to be safe and sound. It reduces the burden of carrying extra amenities for keeping all the desired information within one's reach. 4. One can learn at any time and from any place without any limitations or boundaries. You can make them aware of its flexibility and how convenient it would be for the employees. 5. There have been companies who have already implemented the digital learning system. Take their example and show how it has benefited the company's growth and development. 6. Sometimes money speaks louder than words. You could convince your organisation as to how digital e-learning proves to be profitable for the business as a whole by measuring the profits in monetary terms. These are some of the convincing reasons that are sure to persuade the management to implement digital learning. With the world becoming digitalized we have to make them accustomed to the changing trends and techniques to stay ahead of the pack.